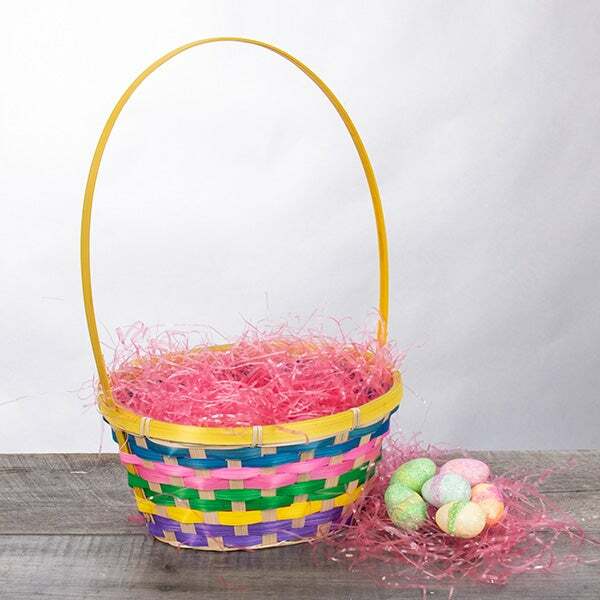 Easter Basket for Girls is rated 4.9 out of 5 by 43. Rated 5 out of 5 by Jackson from My grandson loved this! My grandson, who is 4, loved this Easter basket! He puts the bunny in his back pack every day to go to school with him! Just enough candy...arrived on time. Rated 5 out of 5 by BeBe from Perfect! I bought this for my daughter who lives in another state. She absolutely loved it. I purchased it two days before delivery, the cost was still fantastic. I'll definitely purchase from them again. 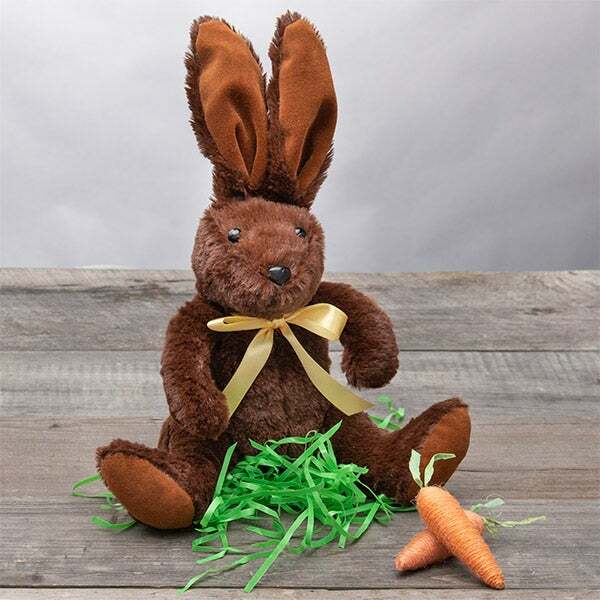 Rated 5 out of 5 by Pegalito from Perfect for my adult children Excellent walk down memory lane for my adult children who wanted Easter baskets this year! They all loved the stuffed bunny as well as the delicious treats! Rated 5 out of 5 by Jeepgirl from Good expeience The boys loved their baskets! Arrived right on time! Rated 5 out of 5 by Jgregory from Very nice Bought this for my grandson, daughter, and son in law. My grandson really liked the bunny. 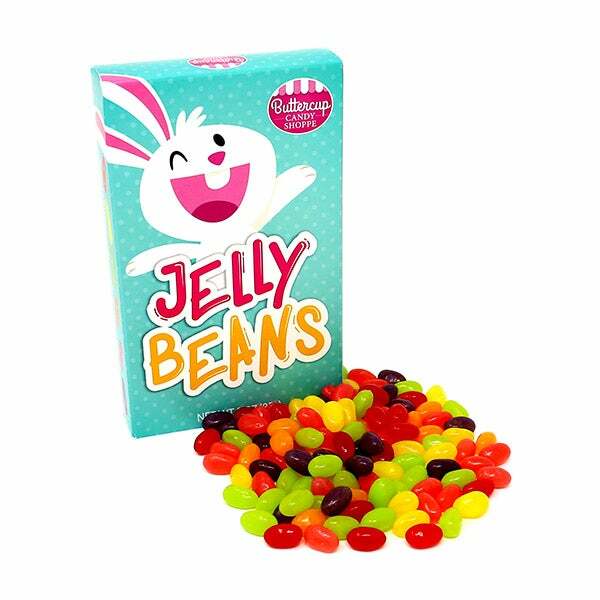 Rated 5 out of 5 by YumYum58 from Here comes Peter Cottontail! 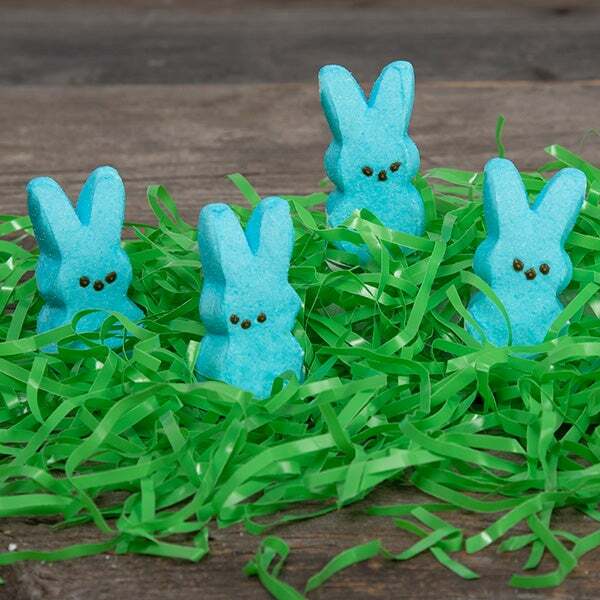 Hopping down the bunn Great basket to send to the ones you love. Egggg-cellent college gift, too! Rated 5 out of 5 by Kitkat57 from Not a disappointment!!!! I bought this for my 50+ year old sister and she loved it! It was filled with name-brand candy and she loved the bunny. I thought the price was very reasonable. She also said it was a good sized basket. I will definitely use you again! Thanks! Rated 5 out of 5 by K J M from Great service! 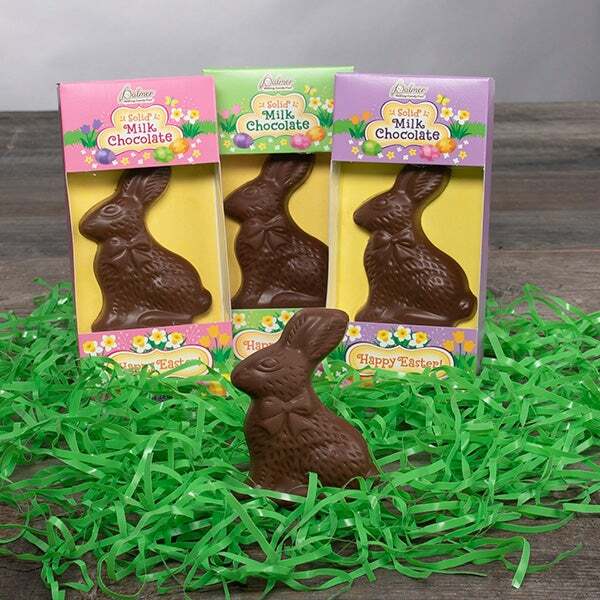 I ordered this for my adult daughter who was complaining about not getting an Easter basket anymore! I debated about ordering it until the last minute, and it was delivered on time! Bright and cheerful, this beautiful arrangement is perfect for making her Easter morning memorable! 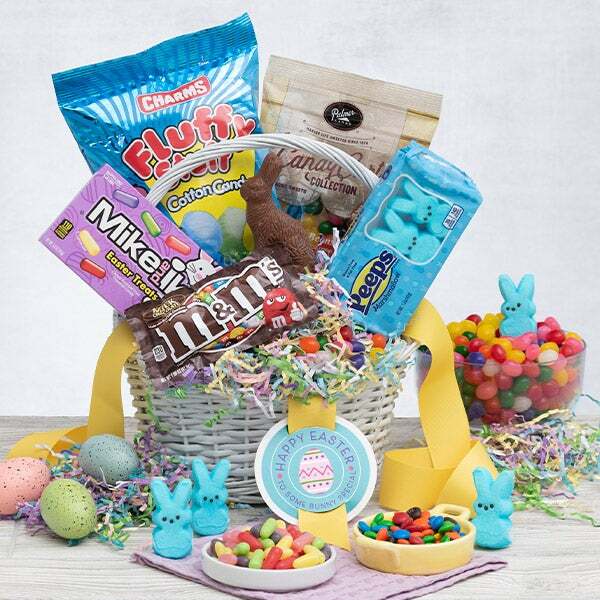 Inside a classic basket, we’ve brought together an assortment of delicious treats including gooey marshmallow Peeps®, bright jelly beans, and a soft and cuddly stuffed bunny. A lovely gift that’s sure to delight! 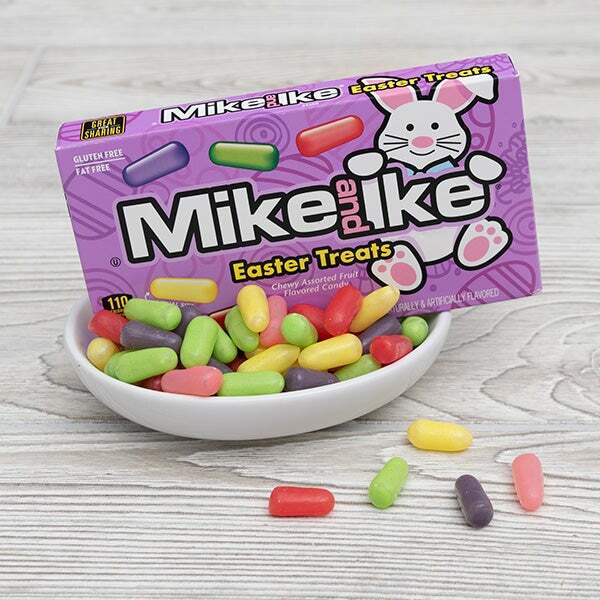 Mike & Ike® Original Fruits by Just Born - 5 oz. Lemonade Kettlecorn by GourmetGiftBaskets.com - 1.4 oz.